Sometimes the simplest meals are the best meals. This is one of my all time favorite breakfasts. I used to make it with tons of butter, but now I’m happy with just some butter spray to cook it with. 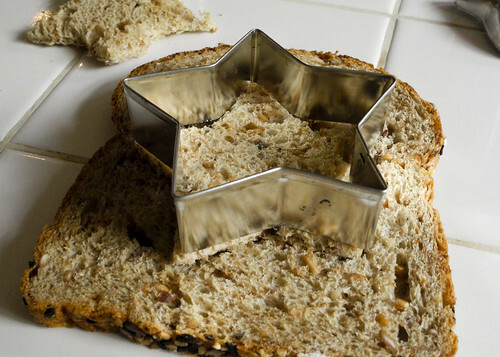 You can either use very simple cookie cutters to create the shapes in the bread or you can use a glass to cut out a circle. You do want to cut out a good amount of the bread. 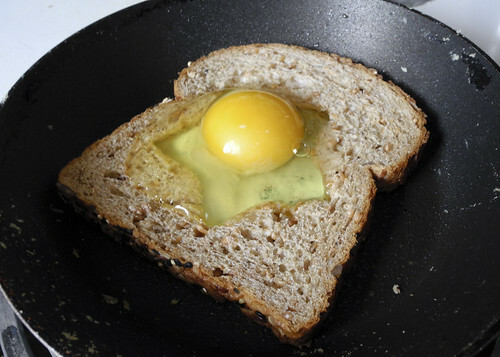 When you crack the egg into the bread don’t worry if it overfills a little, just try and let it not run off the top of the egg. 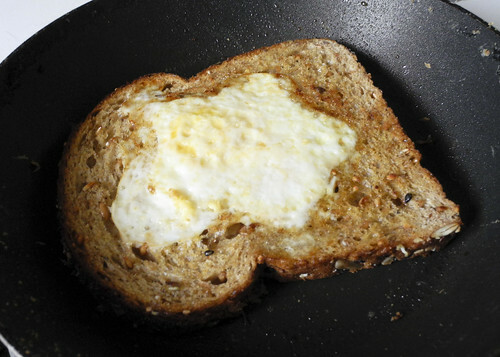 The top of your toast will not hold the cutout shape, but as long as you let the egg set up firmly before flipping the first side cooked should hold the shape. 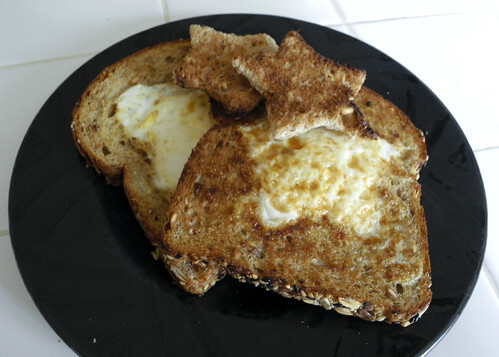 This is a great quick breakfast to serve when you are having guests over they will be impressed with the results and not realize how simple it was. This is great to serve with bacon or just have two servings and still be low on calories.